We haven’t found life on Mars, but decades of robotic exploration have indeed strengthened astronomers’ convictions that rivers and perhaps even oceans once flowed on the red planet. 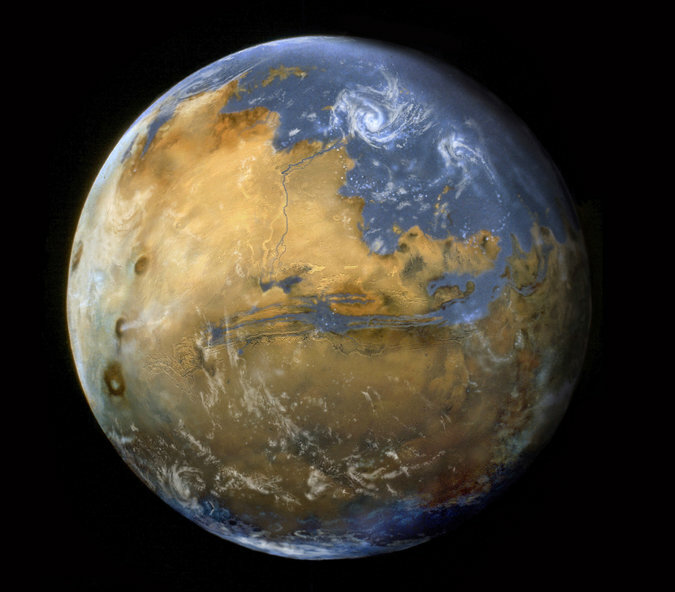 “I think the short story is the atmosphere went away and the oceans froze but are still there, locked up in subsurface ice,” said Chris McKay, an astrobiologist and Mars expert at NASA’s Ames Research Center. In September a new spacecraft known as MAVEN, the Mars Atmosphere and Volatile Evolution mission, swung into orbit around the planet. Its job is to get a longer answer to one part of the mysterious Martian climate change, namely where the planet’s atmosphere went.